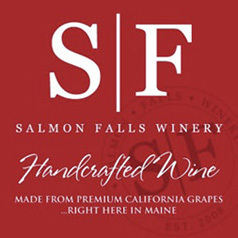 Salmon Falls Winery is a family-owned and operated boutique winery focused on bringing you the most exceptional vineyard-designated, small-lot production wines. Simply, they produce California wines in the time-honored, handmade manner they were meant to be. The care and passion devoted to every single grape can be tasted in every sip. They strive to create outstanding wines that demonstrate the characteristics of the varieties they produce and also the terroir of the vineyards where the grapes are grown.